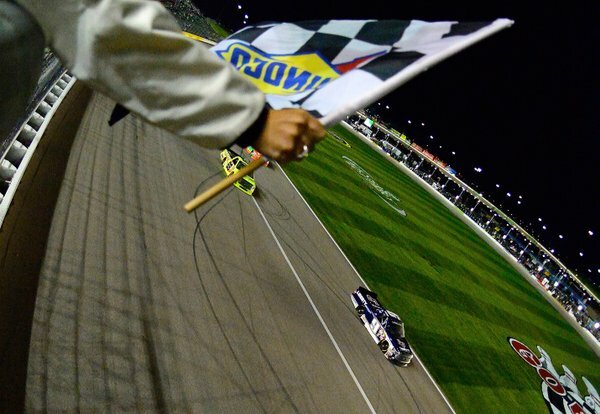 2016 NASCAR Camping World Truck Series (NCWTS) Rookie of the Year (ROTY) contender, William Bryon, captured his first career NCWTS victory Friday night as he wins the Toyota Tundra 250 at Kansas Speedway. This was Byron’s first series victory and second top-10 finish of the season, his first series career victory in five races and his first series victory in one race at Kansas. Following Bryon to the drop of the checkered flag were Matt Crafton finishing second, Daniel Hemric third, ROTY contender Christopher Bell fourth and Clinton Bowyer finished fifth. 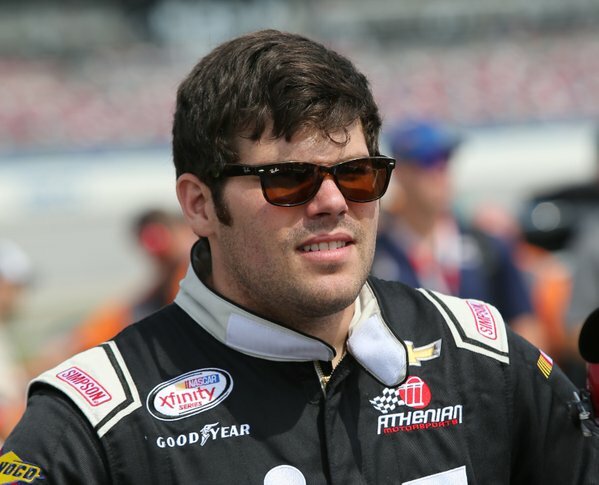 Rounding out the top-10 finishing positions were Ryan Truex taking sixth-place, ROTY Cole Custer seventh, Timothy Peters eighth, Ben Kennedy ninth and Spencer Gallagher brought home 10th-place. With his eighth-place finish, Timothy Peters leaves Kansas with a 8-point lead over Daniel Hemric. Time of Race: 02 Hrs, 21 Mins, 00 Secs. Up Next: The Dover 200 at Dover International Speedway on Friday, May 13th, with an approximate starting time of 5:50 p.m. (ET) on FOX Sports 1. 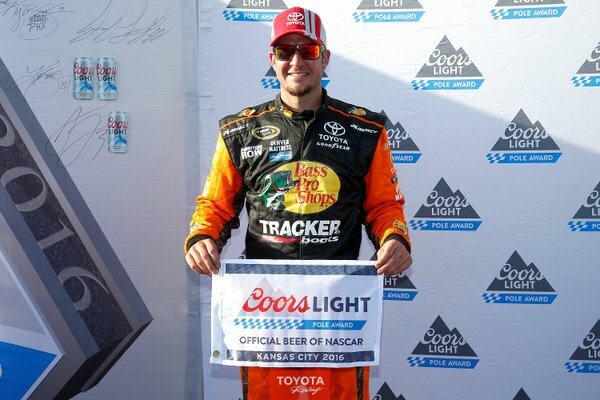 John Wes Townley, with a qualifying lap speed of 177.253 MPH, captured the 2016 NASCAR Camping World Truck Series (NCWTS) pole for this evening’s Toyota Tundra 250 at Kansas Speedway. This was Townley’s first series pole and third top-10 start of the season, his first series career pole in 96 races and his first series pole in five races at Kansas. Starting second on the outside pole with a qualifying lap speed of 176.436 MPH will be series Rookie of the Year (ROTY contender, William Byron, and he’ll be followed by Tyler Reddick (175.947 MPH) starting third, while ROTY contenders Cole Custer (175.610) and Christopher Bell (175.325) start fourth and fifth respectively. 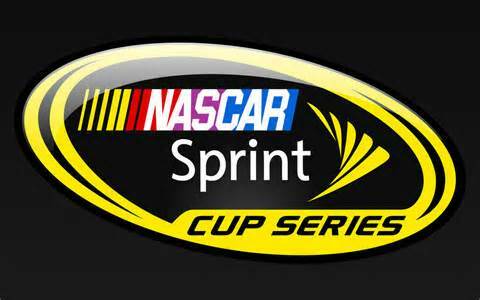 Rounding out the top-10 starting positions will be John Hunter Nemechek (175.126 MPH) starting from sixth, Matt Tifft (175.114) seventh, Timothy Peters (174.825) eighth, Daniel Hemric (174.390) ninth and ROTY contender Ben Rhodes (174.379) starts 10th. Failing to make the 32-truck field and heading home were Norm Benning and Mike Harmon. 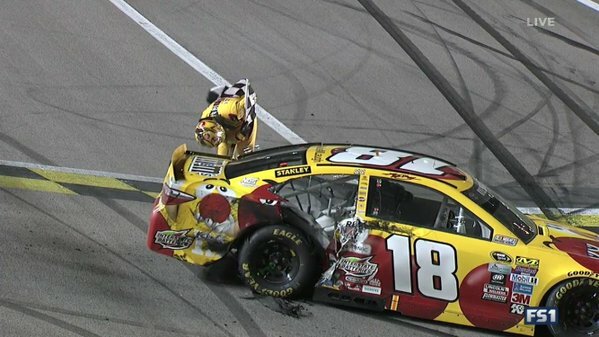 The 16th annual Toyota Tundra 250 is scheduled to get underway around 8:50 p.m. (ET) tonight on FOX Sports 1.